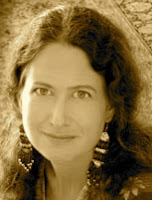 A Year of Being Here: Jane Hirshfield: "Burlap Sack"
"Burlap Sack" by Jane Hirshfield, from After: Poems. © Harper Perennial, 2007. 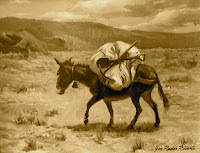 Image credit: "Pack Mule in Desert," oil painting by Joe Rader Roberts (originally color).